CONDITIONS: Tough with headwind and very hot; certain areas on route up to 38 Degrees Celsius. 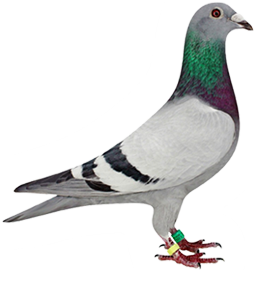 PPL 17/2810, a hen bred by Bertus and sold as a youngster to Johan de Clercq, won the race by 5 minutes against 1021 pigeons. Speed 1056mpm. MOTHER: ZA 16/29248 - a beautiful hen and one of Bertus's favourites. She is a daughter of 22722 (SON KROMME x DOGTER GOLDEN EYE) and 00537 (CARTER x DOGTER MISS AMSTERDAM). 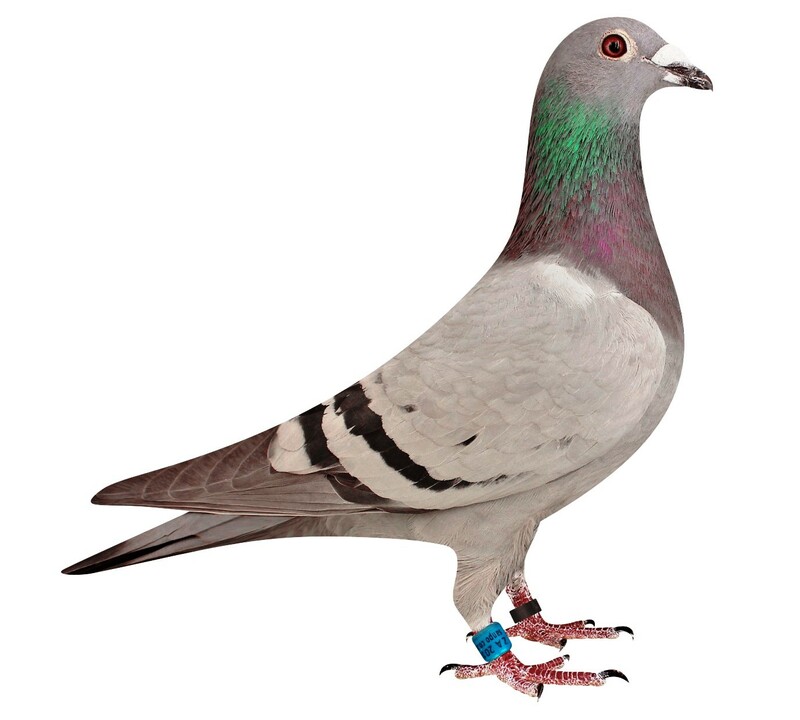 2810 has many of Bertus's best breeders is her pedigree like WITPEN WITTENBUIK SA, GABY HEN, WITTENBUIK 370, WITTENBUIK 306, SON BLIKSEM (BAKLEIGAT BLIKSEM), GOLDEN EYE, JONGE CONDOR, DOGTER BLAUWE BLIKSEM, ETC. Photos of "77" and 29248.